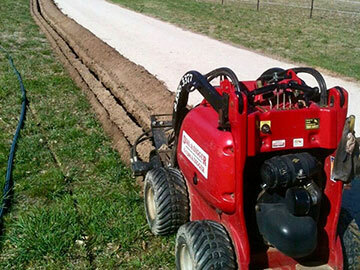 Trenching for electrical works is a precision job, requiring skills and knowledge. 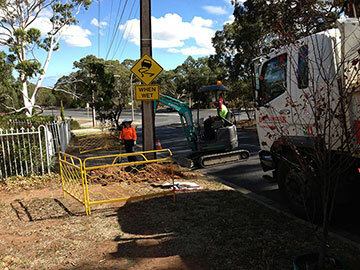 Dial A Digger are the experts in electrical trenching. When you call Dial A Digger, you get one of our highly trained operators who has years of experience digging electrical trenching. With Dial A Digger you get everything you need, the right machinery for the job and an operator with the skill and ability to do the job right. 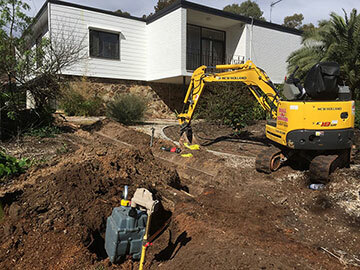 Dial A Digger can do any and all forms of electrical trenching, we have all the skills and machinery needed for the job. Make sure the job is done safely, all our franchise are able to read Dial Before You Dig drawings, service plans, and engineer’s specifications. We can fill in the trench and ensure it is well compacted, ready for use. No problem if you have tight access, we have the machines and operators with the skills to access and work in tight access spaces. For all your electrical trenching needs you need Dial A Digger. We service areas such as Werribee, Dandenong, Seaford, Brighton, Tea Tree Gully and Munno Para.